The Board of Supervisors is the chief policy making body for Pulaski County. The five board members are elected by the citizens of Pulaski County in their respective magisterial districts to serve four year terms. In addition to setting policy for the county, the Board of Supervisors also appoints members to County boards, authorities, commissions and committees, appoints the County Administrator to carry out daily operations and approves all local tax rates and County budget. County Administrator Jonathan D. Sweet, ICMA-CM is appointed by the Board of Supervisors and serves as Pulaski County’s Chief Administrative Officer and Chief Economic Development Officer. He hires and supervises all county department heads/directors, implements policies set by the Board of Supervisors and state code/mandates, and collaborates closely with community agencies. He has assembled a dynamic and world-class Team within County Administration to assist with delivering services to the citizens of Pulaski County and advancing the Board of Supervisors’ vision for the community. The mission of Virginia's judicial system is to assure that disputes are resolved justly, promptly, and economically. The components necessary to discharge this function are a court system unified in its structure and administration, competent, honest judges and court personnel, and uniform rules of practice and procedure. We uphold the Constitution of the United States, the Constitution of Virginia and the laws, policies and court decisions of federal, state and local jurisdictions.It is our sacred honor to protect and promote public trust and confidence by conducting accurate and fair elections. As the public’s guardians of freedom within a democratic society, we are responsible for the integrity of the process. The General Registrar is accountable for maintaining public confidence in honest and impartial elections which we conduct in a fair, efficient and accurate manner. The Pulaski County Sheriff's Office exists for the purpose of safeguarding life, liberty, property and maintaining civil order. In order to serve these purposes, the Pulaski County Sheriff's Office will appoint the necessary personnel to provide for the enforcement of the laws of the Commonwealth of Virginia and the County of Pulaski. The Treasurer's office receives and collects revenue from local (real estate, personal property taxes, vehicle license fees, dog tags), state (income tax) and federal sources. In addition to the collection of funds, the Treasurer's office disburses and invests County funds and maintains a general ledger. The Pulaski County Community Development Department contains the Building, Engineering, and Planning & Zoning offices. The Community Development Department works with citizens, business owners, and professionals to help ensure projects are permitting smoothly and development occurs in a safe and responsible manner. The Building Office is responsible for overseeing the administration of the Virginia Uniform Statewide Building Code in Pulaski County and all permitting and inspections to help ensure buildings are constructed in a safe and efficient manner. The Engineering Department is responsible for management of County construction projects, including building renovation/construction, transportation, water, wastewater, and site development. The department also administers the erosion and sediment control (ESC) and floodplain ordinances including issuance of land disturbing permits, floodplain permits, inspection, and enforcement. In addition, the department oversees environmental compliance functions, including landfill post closure care/reporting and sampling requirements for County owned landfills. The purpose of Geographic Information Systems (GIS) is to provide current and accurate geospatial information to County departments, other agencies, and the general public. We seek to ensure that the county's public decision makers and other users have access to geographic information that is complete, timely, accurate, and reliable. The County promote the use of GIS and related technologies to more effectively and efficiently address problems, develop plans, and manage the natural, cultural, economic, and infrastructure resources of the county. The Planning and Zoning Office is responsible for overseeing the implementation of the Comprehensive Plan, zoning and subdivision regulations, and other zoning and land development regulations. The Office reviews and approves development plans, sign permits, subdivision plats, dock permits, and zoning permits, as well as other various permits and applications. The mission of the Department of Emergency Management is to provide expertise and leadership for the Department’s emergency management responsibilities worldwide through the integration of emergency management programs, functions, and supporting activities to prevent, protect against, mitigate the effects of, respond to, and recover from all hazards. The Finance Department is responsible for establishing, maintaining, and enforcing fiscal policies to ensure the safeguarding of public funds. This department strives to provide timely and accurate services to the County, PSA, and EDA in the areas of financial accounting, grants management, financial reporting, budgeting and auditing. The Finance Department is responsible for communication with all County departments, the Board of Supervisors, the Public Service Authority Board of Directors, the Economic Development Authority Board of Directors, and the public on the financial position of the County. The Financial Services Department provides oversight of County financial operations. The Department of Information Technology is tasked with designing, implementing and maintaining the infrastructure necessary for the County of Pulaski to provide better communication and services to its citizens. The Department is responsible for the overall management of desktop support, web design and administration, data storage, telecommunication and network security. The Information Technology Department provides technology services for all county departments and constitutional offices, Pulaski County Sheriff’s Office, Joint 911 Center, Department of Social Services, New River Valley Agency on Aging, Community Corrections, Public Service Authority and the New River Resource Authority.  The Pulaski County Public Service Authority ("PCPSA") provides water, sewer and refuse collection services to various portions the County. The PCPSA governing board is made up of five members, all appointed by the Pulaski County Board of Supervisors ("PCBOS"), and was formed by PCBOS resolution in 1969 to provide water and sewer services within the County. Refuse collection services were added by PCBOS resolution in 1977. As of September 2017, the PCPSA serves approximately 4,680 water service customers, 1,320 sewer service customers and 8,800 refuse collection customers. The Pulaski County Sewerage Authority ("PCSA") was created to provide sewer service to the Fairlawn community of the County. It is the mission of the Pulaski County Recreation department to enhance the quality of recreational activities offered and the attractiveness of parks and facilities to provide better quality of life for all residents. The Pulaski County Department of Social Services is one of 121 local agencies located throughout the Commonwealth of Virginia who provide human services and temporary economic assistance to its citizens.